In the All Kids First infant and toddler room, children are exposed to the High Scope Curriculum at a very early age. They participate in active learning using many different materials and manipulatives. Children are grouped according to their ages. Infants have small, quiet sleeping rooms to accomodate quiet sleep times. They also have a large play area, where skills like crawling, walking and playing with other young children are fostered. All Kids First offers free wrap around programs, paid for by the state during the school year from September to June. Click Here for more information and eligibility levels. Individual and/or small group oriented. Children are encouraged to pursue their own interests and make choices. Fully certified teaching staff in a classroom based environment. Indoor and outdoor playgrounds for year round physical activity programs. 2000 square feet of indoor space for play activities and social development. Classrooms explore the outdoors via our train, exposing them to nature and our environment. © 2016-2019 All Kids First Child Care. All Rights Reserved. "High Scope" it's logo are the trademarks of the High Scope Foundation. 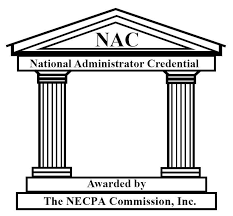 "NAEYC" and it's logo are the copyright of the National Association for the Education of Young Children. "Grow Kids NJ" and it's logo are used by permission and are copyright the State of New Jersey.